1. Todd, you seem to favor Africa as a wildlife safari destination, why is that? Having grown up in Tanzania (then Tanganyika) in the 1960s, I have always had East Africa “in my blood”. The fabric of life, the smell, the sounds and the feel of the air are like nowhere else. Returning as a professional photographer, I enjoy the variety of habitats that support such large numbers of diverse species. 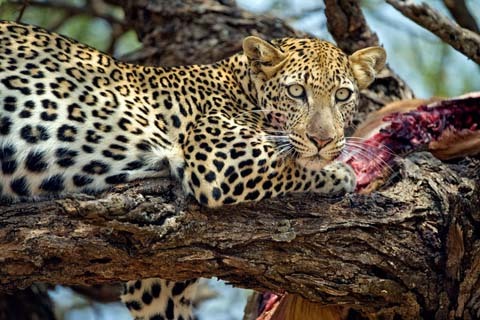 When I organize a photo safari I keep this in mind and plan as if I were preparing a menu for fine dining. East Africa allows me to do this by having game parks with easy access to great photo opportunities and vehicles that facilitate big lens photography… I work with some of the finest driver guides in East Africa. They are aware of the needs of serious photographers and understand what it takes to make dramatic images. All of these factors, viewed as a package make East Africa my favorite big lens photo destination. 2. You have been a professional wildlife photographer for over ten years – how long did it take you to become a professional? I had a Nikon F5 camera body and a set of short focal length lenses. My wife Julie suggested I get a “real” lens if I wanted to keep up with Art and learn from the experience. I scraped together enough money to buy a Nikon 600mm f4 lens, a 1.4 teleconverter, a Gitzo tripod and a flash. For 12 hours a day for the length of the safari, Arthur quizzed me about f stops, depth of field, and composition. I got home from the safari on my 40th birthday and Julie gave me the gift of a 40 gallon trash can saying "This is for all those slides you are going to throw away!" The next gift I opened was a 6 foot screen "For all of the slides you are going to keep!" I will never forget the feeling of awe when I opened the first box of slides and saw the results of the photo safari. I immediately called Robert Lightfoot, good friend, mentor, and photo critic. He saw a vast improvement over any work I had done in the past and called a friend of his at PANORAMIC IMAGES in Chicago to set up a meeting for them to see my work. I showed my favorite slides to the owner, Doug Siegel, who seemed impressed (I wasn’t sure whether it was genuine or if he was just being polite). Two days later Doug called with a list of images he wanted me to send to The Smithsonian Institution’s Museum of Natural History in Washington, DC for their new permanent exhibit, African Voices. The next week Doug called to set an appointment with a designer from St. Louis who was fabricating life sized East African scenes for the intensive care ward of the Children’s Memorial Hospital. Over the next year I provided all of the photos for Chicago’s Lincoln Park Zoo’s new Africa House, Regenstein African Journey”. I guess it was at that point I thought I could make it as a professional nature photographer. 3. In Southern Africa, some of the professional wildlife photographers are ex game rangers and their ‘lucky-break’ was the fact that they are out every day and get to see and photograph animal behavior that many of us will never see. What was your turning point to becoming a full-time professional wildlife photographer? I don’t believe I ever had that “lucky break” shot that put me on the map. My body of carefully crafted photos of compelling subjects engaged in dramatic behavior is what gave me notoriety. I think my greatest strength is having the innate ability to know what the animal is capable of doing, what he is likely to do, what I WANT it to do, where I want him to do it and where I want to be when he does it. I can also usually tell when a situation is worth staying for or whether it is time to leave for greener pastures. I refer to this as 'Subject Driven vs. Situation Driven' photography. If there is a great photo subject in a bad photo situation and it doesn’t seem likely to change, I tell people that somewhere else someone is playing, fighting, hunting, eating, being eaten…the list is endless, so leave the bad situation and find something better! There are lots of ways to make it as a pro. One is to be in the field as much as possible. Work hard at it. Enjoy it. The more time you spend out there photographing the more quality opportunities will come your way. I find that the harder I work, the more “lucky breaks” I get. Three days ago I was in Kenya’s Samburu national Reserve hoping to photograph leopards. We had good luck over the week. But at the end of the week our driver left for the long drive to Masai Mara while we spent and extra night before our morning flight to meet him there. This left us without a vehicle for the last evening. The lesson here is to make the extra effort and get out there. Although it’s great to say “get out there” in reality it can be difficult to do. I have a family that I dearly love and it is difficult for me to leave them for extended periods of time. One thing I do to alleviate the problem is to take them with me whenever possible. It is also important for me to get to the best locations for nature photography at the best time of year. Rain cycles, migration patterns, and birthing seasons, to name a few, all go into the mix of factors that can make or break a nature photographer. My schedule reflects these events. Another way I maximize my returns is to go out to photograph early in the morning when animals and birds are waking up and active. When the day gets hot, animal activity decreases dramatically and the light becomes harsh - this casts unattractive shadows for photographs. It is physically and mentally draining to be out in the heat all day for little or no photographic return. I rest during the midday heat and go out to photograph in the afternoon, rested and mentally alert. ... no one really wants to buy photos of flea-bitten, tick infested, lions sleeping in tall grass! 4. 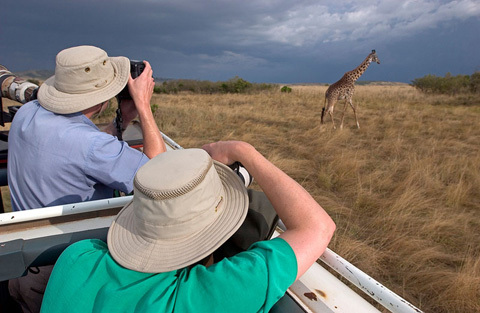 You have recently added new photo tours in addition to your East African safaris. These new tours are to South America and India. How do these destinations compare to Africa in terms of a safari / wilderness experience, because many people consider a big-5 African safari to be the ultimate. I have been blessed to be able to expand my tour destinations because of repeat clientele. It’s easy for me to say I run a great photo safari but until the clients experience a truly rewarding, fun safari and compare it to others they have been on, what I say doesn’t matter. Clients who came for the “Once-In-A-Lifetime-Safari” end up coming back with me, sometimes as many as 8 times. Chatting around the campfire brings up the subject of other photo destinations. Destinations I choose to pursue all have these things in common; they must have spectacular, iconic main photo subject species, have a strong supporting cast of other interesting photo subjects, and be in wild locations with good photo access (no zoos). I take their suggestions and research the new destinations with my travel experts at Holbrook. This way we have great itineraries in perfect locations, at the best time of year, with expert, informative guides. Our first expanded destinations included, Zanzibar-the Spice Island, Madagascar-The Eighth Continent, and Uganda-Land of the Primates. Each was a great photo destination with its own set of iconic species. From Madagascar’s humorous lemurs, chameleons, and striking Avenue of the Baobabs to the chimpanzees, red colobus, and haunting mountain gorillas of Uganda. I chose Brazil, not only for the spectacular chances to see and photograph Jaguars, but also for the huge supporting cast of birds, animals and reptiles that inhabit the Pantanal. giant anteaters, hyacinth macaws, jabiru storks and giant otters are among the species that make up the photographer’s pallet. India is, of course, for the tigers. 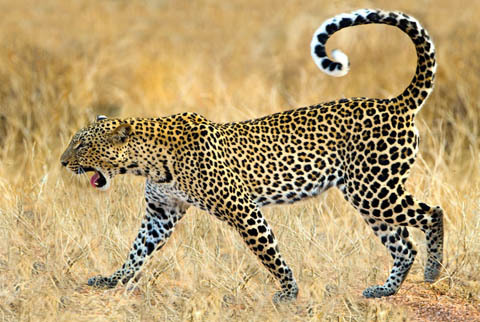 These huge, iconic cats are simply beyond compare. The trick with the India tour is to fight the urge to become too “tiger-centric”. There are so many wonderful species in the forest including monkeys, leopard, jungle cat, peacock, and a fine array of ungulates. On all of my trips I urge clients to look beyond their expectations and appreciate the sheer numbers of photographable subjects. Costa Rica is a bird paradise! The rainforests, mountain, and river habitats are filled with toucans, sloths, howler monkeys, resplendent quetzals, hummingbirds, and trogons to name a very few! There are also macro opportunities everywhere. I love to photograph the poison dart frogs, colorful mushrooms and the classic red-eyed tree frogs. There is a big, beautiful world out there and I have had the chance to experience a bit of it, but when I get off the plane in Tanzania or Kenya it’s like coming home. 5. Wildlife photographers seem to have different passions, such as macro, landscape, birds etc. What type of photography are you passionate about and why? I love photographing nature subjects whether they are birds, animals, reptiles, landscapes, or underwater subjects. I enjoy photographing with macro, wide angle, panoramic 6X17 or long telephoto lenses. When I am at home I do a lot of concert photography. Being a trumpet player in my “other life” I understand what it takes to capture the decisive moment whether it’s Tina Turner, the Chicago Symphony Orchestra, or the great jazz trumpeter Winton Marcellus. If you put all of these styles and subjects on plate I guess you could call me an omnivore! 6. Nikon and Canon are the world’s two leading photographic brands - Why did you decide to go with Nikon photographic equipment? My Dad shot Nikon so I use Nikon equipment. My first good camera body was the wonderful F5 with its reliable matrix metering system and 8 frames per second. The bodies are great and the high-end lenses are sharp and quick. On a Kenya safari in 2006 I had one of the contact pins fall out of the 600mm f4 lens. At that point my photo safari was pretty much over. One of the guys on the safari was my friend, Hal Dupont. He brought me his extra 600mm Canon lens and a brand new, in the box Mark ll. I learned how Canon cameras work and used it for the rest of the safari. Hal let me use this setup for about a year while Nikon fixed my lens. I made some great pictures!! When I got the Nikon lens back I returned Hal’s equipment with many thanks. I learned two important things from the experience. 1: Be kind to people. If you can help someone, do it. 2: Nikon and Canon are both just tools to allow me to make the quality photographs that I need. 7. Todd, on your various photo tours you seem to shoot nearly all of your images with your Nikon 600mm AF lens, either by itself or with the Nikon 1.7X teleconverter. 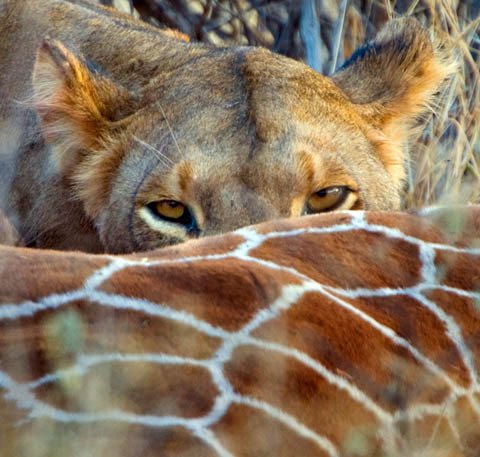 Would you consider this combination the ideal photo safari lens? I view the world in rectangles and decide if things inside those rectangles would make a great photograph. Those rectangles may fit the optical view of a 104mm macro, a 10.5mm fisheye or a 6X17 panoramic camera but I do seem to use the 600mm f4 ninety-five percent of the time. I like the intimate view of a subject that it allows without entering the animal’s “fight or flight” zone. Natural behaviors can be viewed from a distance with great detail and the optics’ narrow depth of focus capabilities create sharp focus on the main subject with a pleasingly blurred back ground. 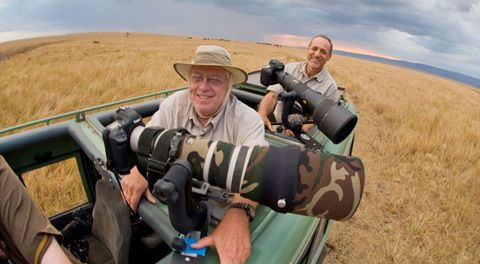 In nature photography and especially on safari, subjects are often a fair distance from the photographers vantage point. If subjects are close to the vehicle they can often be dangerous. 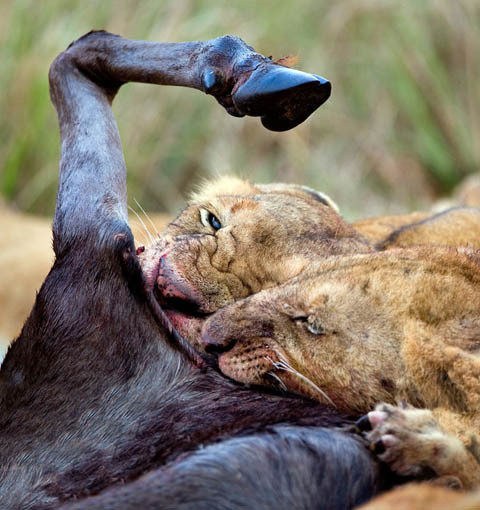 Using a 10.5mm fish eye on a lion kill could be suicide while using a super telephoto can allow the photographer to make intimate images in safety. 8 If a person buys a 600mm f4 lens and the latest top-of-the-range digital camera body would this ensure good wildlife photographs or are there other ‘things’ a person would need to buy/to do? Buying the right camera body and a 600mm lens will certainly be a start, but a 600mm might not be the absolute best lens for everyone. Many high end digital camera bodies have a crop factor in the sensor creating a 1.3-1.6 magnification to the lens. A photographer with one of these bodies could accomplish the same focal length by using a 500mm lens. Some of my clients have perfectly successful safaris using the Nikon 200-400V VR lens and a 1.7 teleconverter. Everyone sees the world differently and choose their lenses accordingly. I happen to choose the 600mm most of the time to achieve my photographic goals. All that being said, it all comes down to; where you point the camera and when you press the button. Assuming the photographer has the camera and lens combination that suits their style there are some vital pieces of equipment that will add to the quality of the final photograph. A professional tripod that has long enough legs to allow the photographer to shoot in comfort is the first thing on the list. I’m 6’ 6” tall so I am acutely aware of the height issue. The quality support will allow for a sharper photograph because it will limit camera shake associated with super telephotos. Shooting from a safari vehicle has its own set of support issues. Tripods are too cumbersome and bean bags continually fall in and outside of the vehicles. I developed the Todd-Pod so that a professional tripod head can be used while shooting from a safari vehicle. A high quality flash system is another part of a pro photographer’s equipment. Being able to use the flash as main light or as fill light allows for much more control of a photo situation. 9. Do you have a plan or strategy when you go out each day on your safaris? Do you ask your tour participants what they would like to see or do you just drive and see what you can find? My driver guides and I will discuss possibilities for the next day’s photo quest based on the experiences of the day just past. 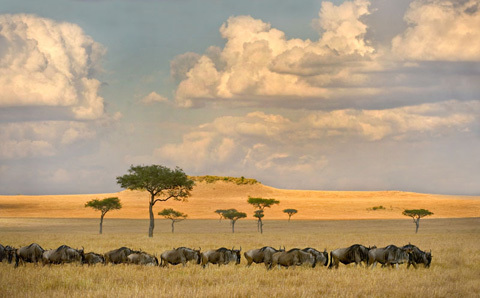 For example, as I write I am in the Masai Mara for the Great Migration of wildebeest. One of the highlights is the crossing of the Mara River. The animals can cross at any time and there are multiple crossing points for them to choose from. If a photographer truly wants to photograph crossings he can sit by the river and wait for it to happen. Even then you are not guaranteed that you will have a crossing while you are there. 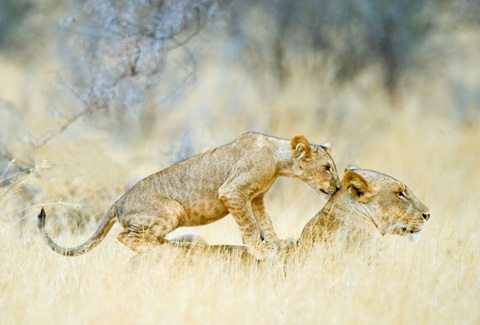 What you are guaranteed is that you will NOT photograph a lion pride on a kill, a cheetah with 4 cubs on the hunt or any of the beautiful and dramatic subjects that are a part of a well rounded photo safari. Rather, when we see that there are huge herds of wildebeest with a seeming urge to cross we can go to that area and wait. 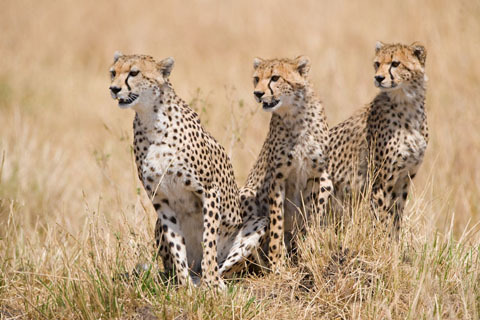 If we sense that a crossing probably won’t happen, we can go to the area where we saw cheetah the day before in hopes that they are out and about. If the cheetahs are not found maybe a reed buck will offer a photo opportunity or a rare side-striped jackal will be spotted. I never like to stay in one place too long because somewhere else there is always other action. I just try to find it. 10. What has been your most memorable photo safari and why? That is a tough question! Every one of them is different and great in its own way. The first safari in 1986 with my wife, my mother and father is the one that started all this. We flew to Nairobi, rented a car and I drove us all over East Africa taking pictures with a Nikon N2000 and a Quantaray 80-200mm lens. Absolutely fantastic and terrifying at the same time! My next safari was a return trip in 1997 with mom and dad, but this time Julie and I brought our 3 young children. The camera was a Nikon f5, the lens a Sigma 170-500mm, and 300 rolls of print film. The 1997 Safari with Arthur Morris was by far the most influential and had the most affect on my professional career. A 2006 safari that included several Rift Valley lakes brought my portfolio of well photographed bird species to around 500. The Tanzania 2007 safari followed a season of so much rain that the Ngorongoro Crater big tusker elephants were out everyday just waiting to be photographed. 11. 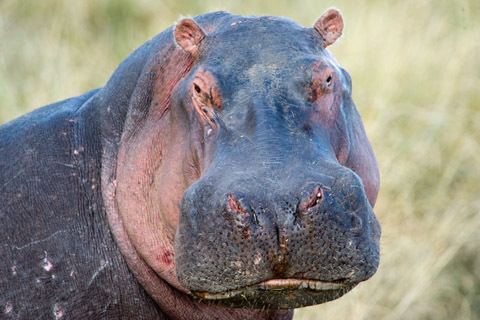 Over the years Jenny and I have been charged by a bad tempered hippo, elephant and leopard (unprovoked and while we were at a distance) - have you had any close encounters with animals? Animals are unpredictable and I have a healthy respect for each animal’s natural strengths. I have a sense of what an animal’s mood is when I’m photographing and I like to give animals their space if I think it is warranted. I have no problem approaching lions, elephant, leopards, and giraffe if I feel they will allow me to do so. However, I never try to get too close to crocodiles, Cape buffalo or hippos. They are so naturally aggressive that the chance of a dangerous encounter is always there. Remember our earlier discussion of the 600mm lens keeping a photographer out of the animal’s fight or flight zone? 12. Do you have any advice for someone who would like to make wildlife photography a career? Get yourself the best equipment the first time you purchase if at all possible. If you buy less expensive “affordable” equipment you will inevitably trade it in on something better and lose hard-earned money in the process. Subscribe to Nature magazines and read photo articles. There is lots to learn and many places to find information that applies to your photographic interest. Look at lots of great photography in books, magazines, and calendars. Shoot lots and lots of pictures of different subjects that intrigue you. Look at those photos and identify what you like about them - Do more of that. Identify what you DON’T like about them - stop doing that! Your own style will start to emerge. Show your photos to people you trust and try to get their honest opinion of them. They will inevitably see things from a different perspective than you, so sift through those suggestions and see what works for you. I have been fortunate to have 3 people who tell me what they like in my photos and will unfailingly tell me if there is something I could change for the better in my photo style. 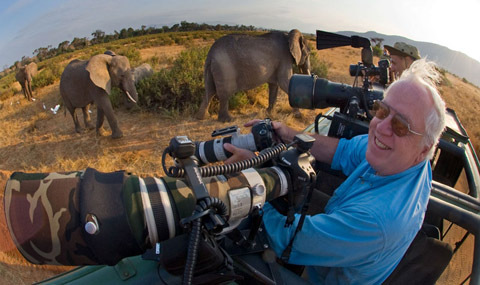 Todd Gustafson operates expert-guided tours and safaris to Africa, South America, North America and other nature photography locations worldwide. He designs the tours with photography in mind as his objective is to get you to the best locations, in the right vehicles and with great advice to capture wonderful images. In East Africa he uses vehicles to his own design that are configured especially for photographers - never more than three per vehicle. Everyone gets a clear shot. His tour leaders are all professional photographers who are keen to share their expertise and his local guides understand photographers needs (quality and angle of light, the need for an early start etc). They know the difference between seeing a subject and photographing it. He chooses high quality lodgings close to the action and his repeat business means he gets great service from their staff. Lodgings are also chosen with photography opportunities in mind. Come tour with Todd and appreciate nature photography at its best! 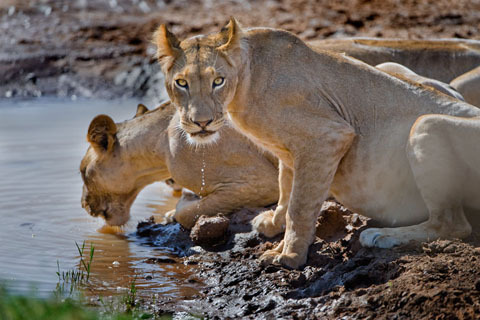 You can view more of Todd Gustafson's images and find out more about his Todd-pod, superb safari photo guide and exciting Photographic Safarisat his website. 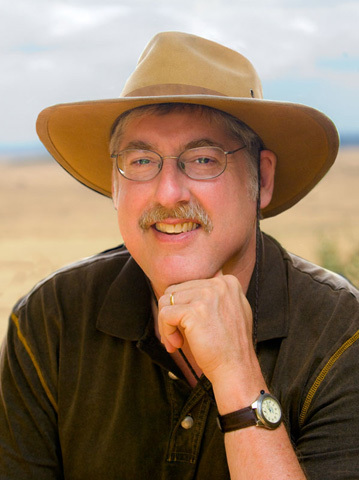 Todd has also written a superb book A Photographer’s Guide to The Safari Experience and if you are heading to East Africa to photograph the animals there without having purchased and studied this great guide you are making a huge mistake!